We are pretty much familiar with the tech giant Google’s web browser, of course, Google Chrome. It has won the browser 'war': with more than 50% stake, it is ahead of the competition on both desktops and smartphones. However, now the tech giant Google just added an extraordinary and game-changing new security feature to its Chrome browser. The tech giant Google's Chrome is the most used browser on the Internet and is also a source of news and new technologies, created to give the best to users. Often they are small details that make all the difference and make it the obvious choice. To make the Internet safer to its users, the tech giant Google endowed Chrome with a major breakthrough. This browser can already generate secure passwords and deal with your memorization. Users of Chrome deeply know that it can work as a true password manager. With Smart Lock, all passwords are recorded and synchronized between devices and can be used at any time, automatically. The great new thing that has now come up, which is only available in the latest versions of Chrome, and the ability to generate passwords whenever we need them. Let’s see how you can enable and use this feature. In Chrome, the ability to generate secure passwords is still reserved. So, to use the feature we must have to activate it in the experiment zone simply to use it. Do this by putting in the address bar chrome://flags and search for Password generation. Then you must pass the selection from Default to Enable. The last step and now Chrome will ask you to restart the browser. To perform this step you only need to press the Relaunch Now button that will pop up. After Chrome restarts, you can generate the safe passwords. Whenever you access a form that prompts you to enter a password, you will have the Generate Password option in the context menu, accessible with the right mouse button. You will immediately see a new box, this time containing a secure password, generated by Chrome. This password, which has been tested, has 15 characters, limited to number and letters, in uppercase and lowercase letters. By accepting, by clicking on the password, the service box will be filled. If there is a confirmation box this will also be automatically populated by Chrome. When submitting the registration form, Chrome will also automatically save the password and username for later use. In this way, the user does not need to memorize the access data. If you need to, you can always export this data. This is yet another feature that the tech giant Google has put into Chrome and will increase the security of users. 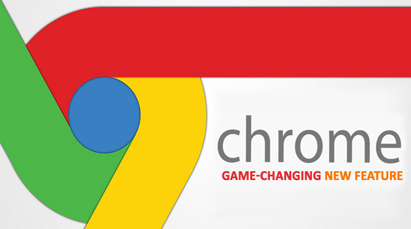 0 Response to "Tech Giant Google Web Browser - Google Chrome Added A Game-Changing Security Feature"